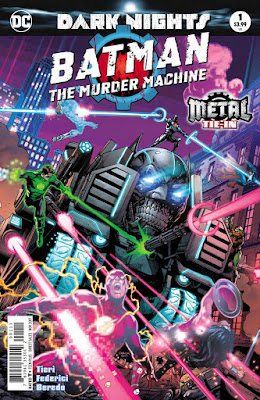 This one-shot special about the origin of Batman: The Murder Machine was a weird one for me. Where I have absolutely been loving everything Metal related, this issue fell a little short. On one hand it was deeply emotional, horrific and fun to read for the most part but on the other hand not as engaging as I would have hoped. I feel like it’s unfair to compare it to past event issues but I also can’t help it since it’s all related. The beginning of Murder Machine’s backstory starts with Alfred being brutally murdered at the hands of Batman’s rogues gallery. Bruce doesn’t know what to do with himself and wants his father figure back. I can deeply relate to this-- a grieving man wanting his father back is very natural and something so hard to get through. He asks Victor for help on making an AI that will act as Alfred’s digital revival but things take a dark turn. 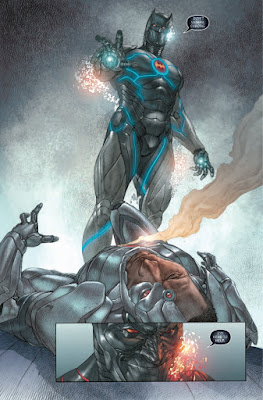 Rather than Bruce going crazy and wanting more power than he already has, he’s actually absorbed into the AI that has gone rouge and in turn becomes a murder machine. 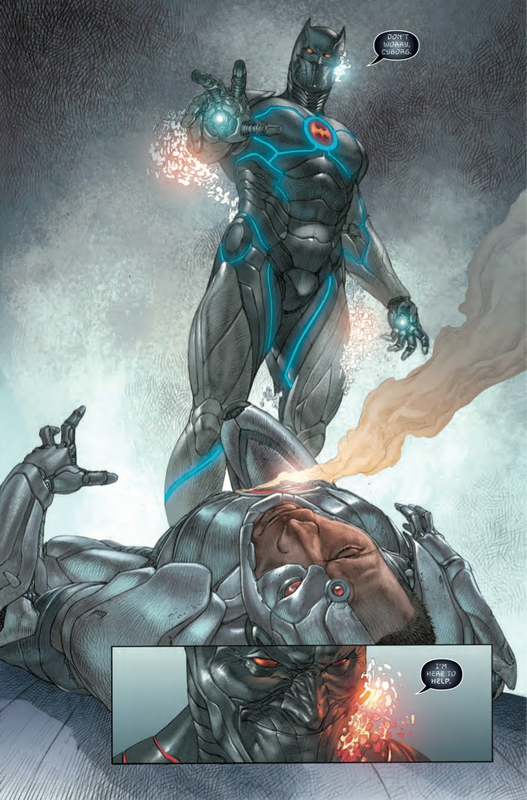 Cyborg gathers the Justice League to fight him but they all are killed, murdered by the cold hearted machine. 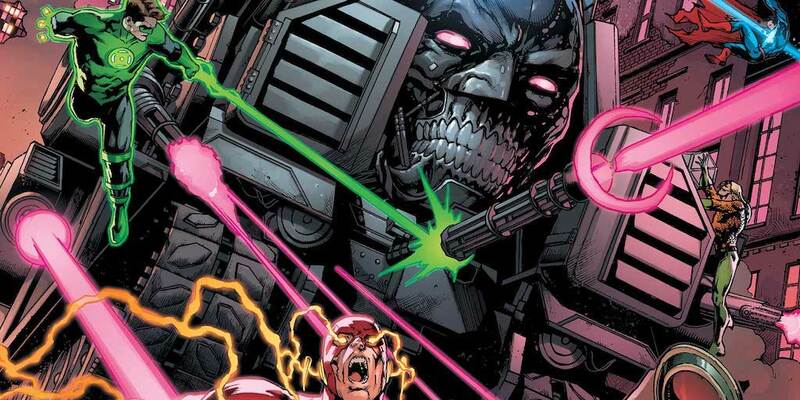 This, of course, is not on our earth but because of Batman Who Laughs, Murder Machine is brought to our world to take over Cyborg and the watchtower. It is a very dark and gruesome fight that occurs which results in a Mortal Kombat style fatality. It’s actually quite disturbing as that’s our Cyborg being dismantled in such a way, I loved it. This issue further cements the fact that this is an event. It give the feel that our heroes are at their lowest point and attacked to the extent of complete failure. These events feel important and it keeps you guessing what the hell is going to happen next. The aspect that did fall a little short for me was the exposition. Normally, I love exposition if it’s done well. The kind I like keeps me entertained and I feel like I’m learning more about what’s going on. The exposition in the dialogue here was a bit boring. It wasn’t bad by all means but I just wish it kept my interest in those parts. The issue, though, did keep that horror vibe I’m wanting from these while being disturbing, too. I enjoyed these aspects and the art definitely helps that vibe. It’s a sketch-type of art that the story benefits from. 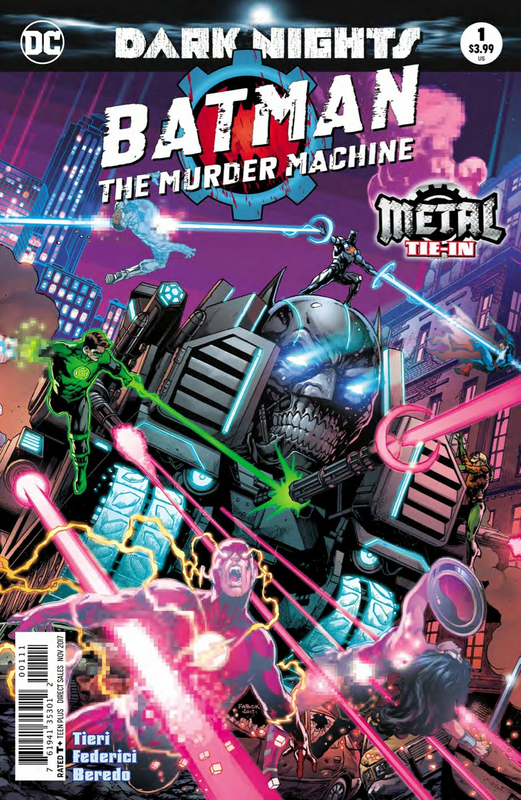 Batman: The Murder Machine #1 is a very good issue, but not the best Metal has offered. Some parts of the issue were less engaging than others but it was still horrifically enjoyable and disturbing in scenes, with art that complements the story this issue was going for.